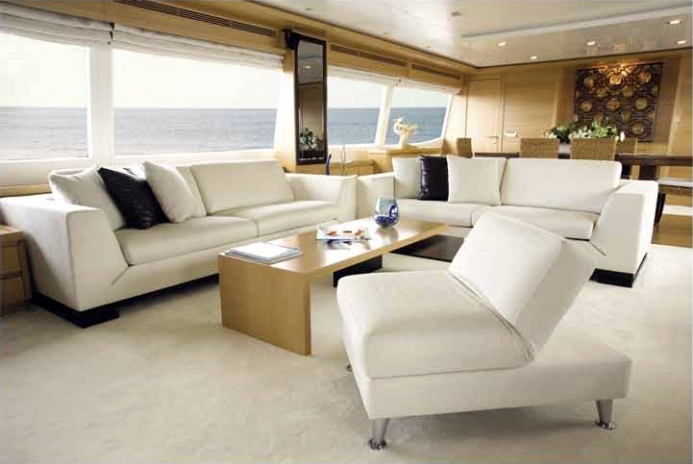 PANFELISS yacht is perfect for an unforgettable yacht vacation, it's a truly wonderful 39.50 feet yacht that you and your guests will love. 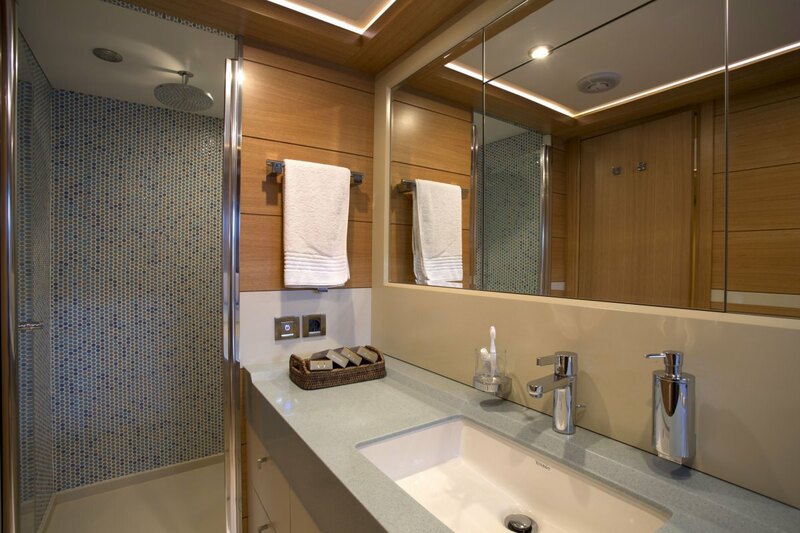 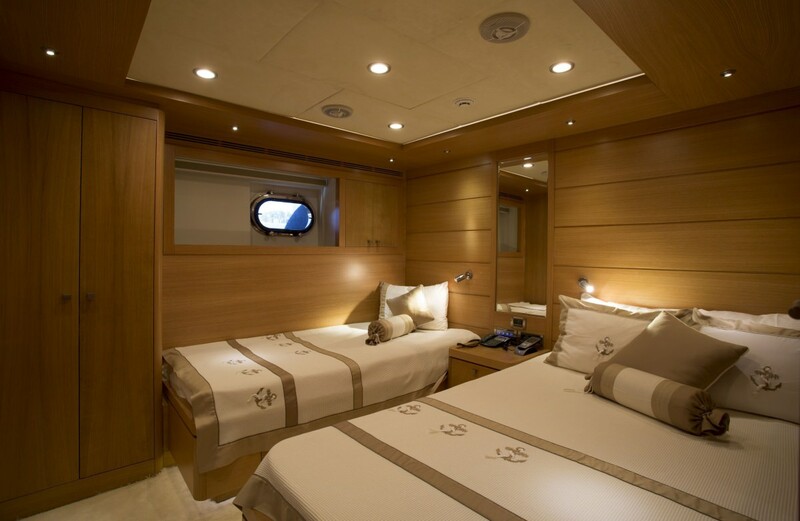 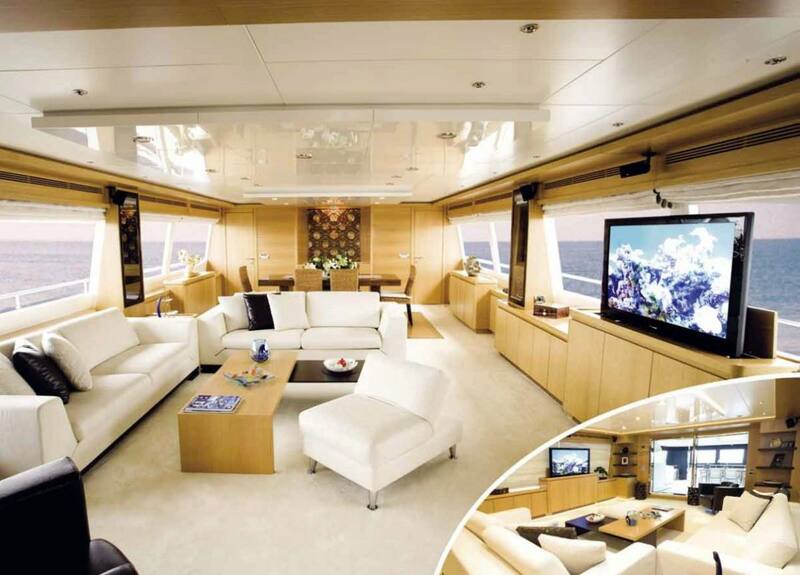 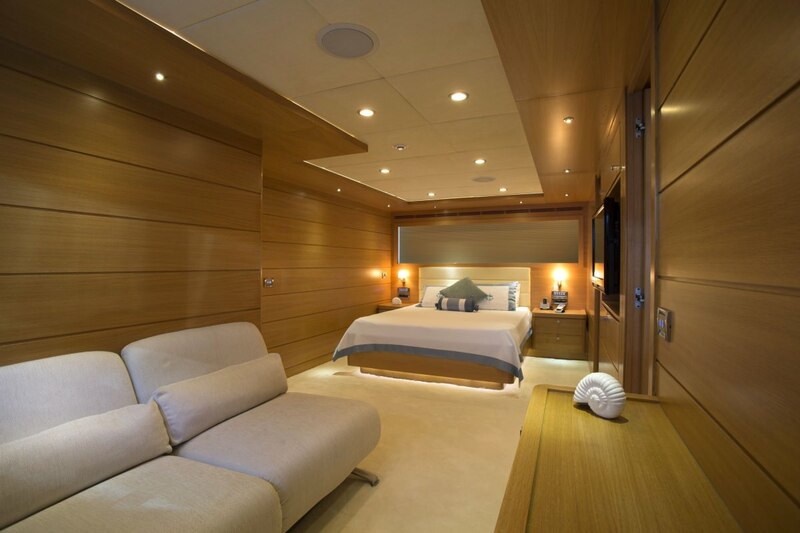 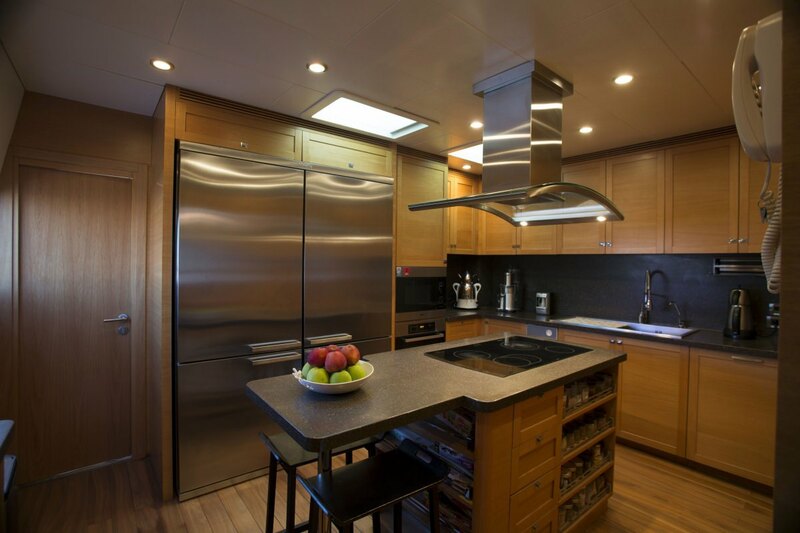 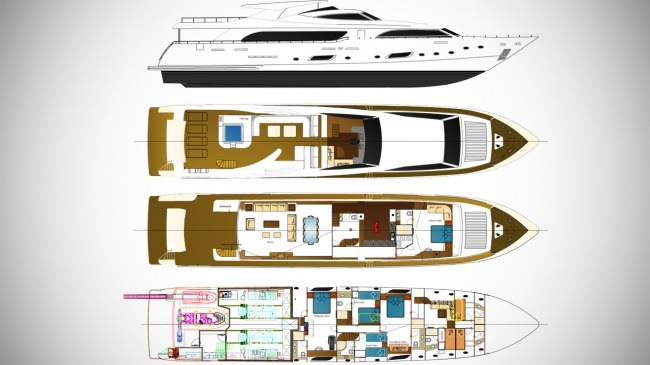 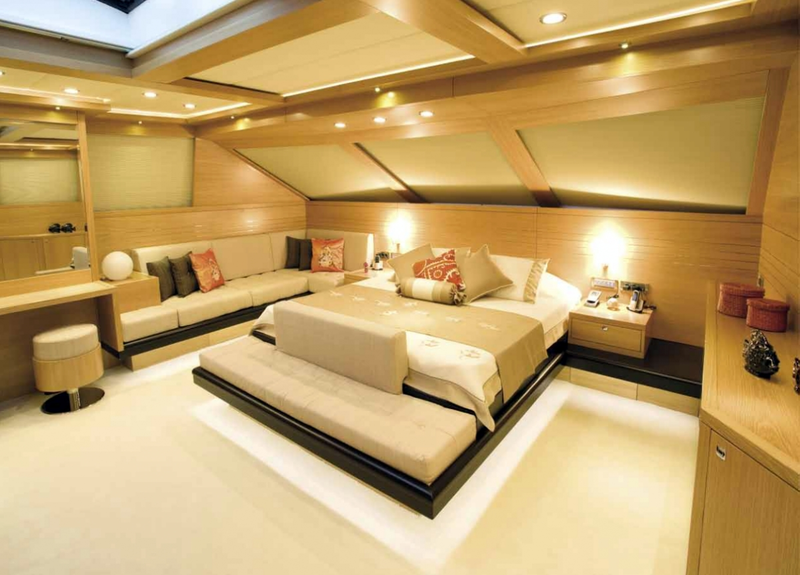 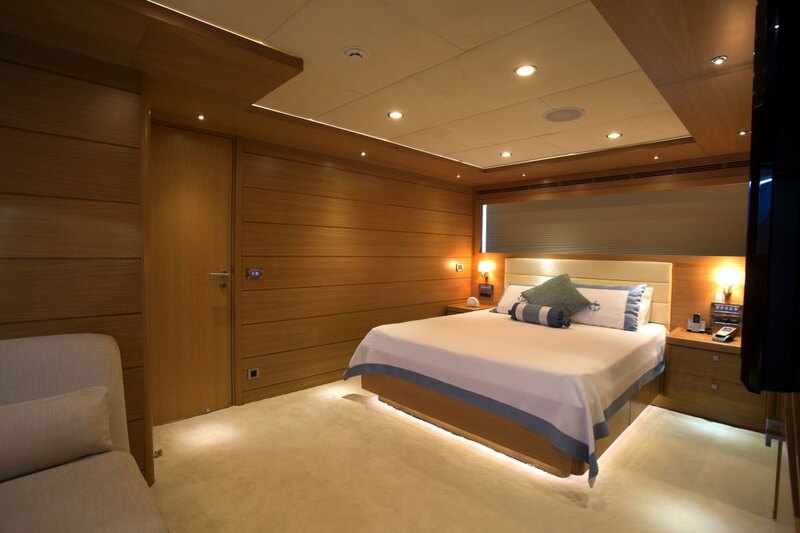 The yacht is designed to accommodate 12 people in 5 comfortable cabins. 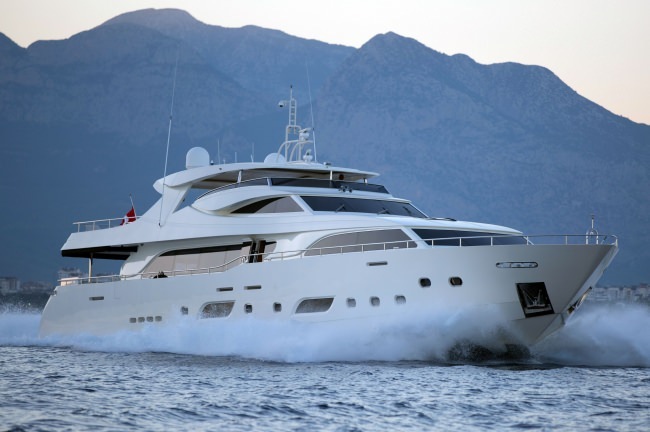 The yacht was built by Mengi-Yay Tuzla in 2011. 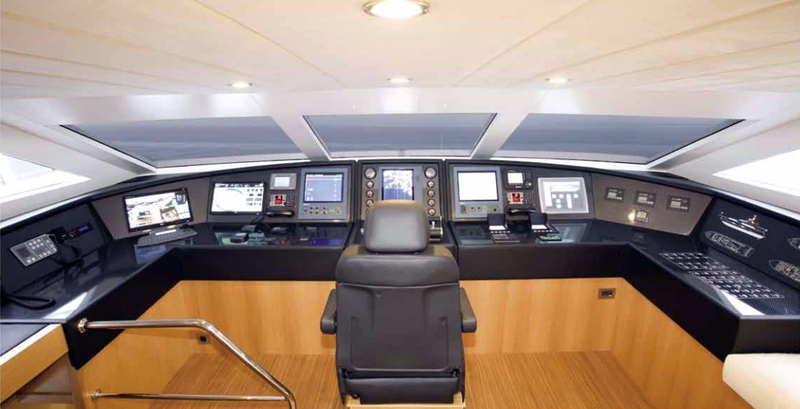 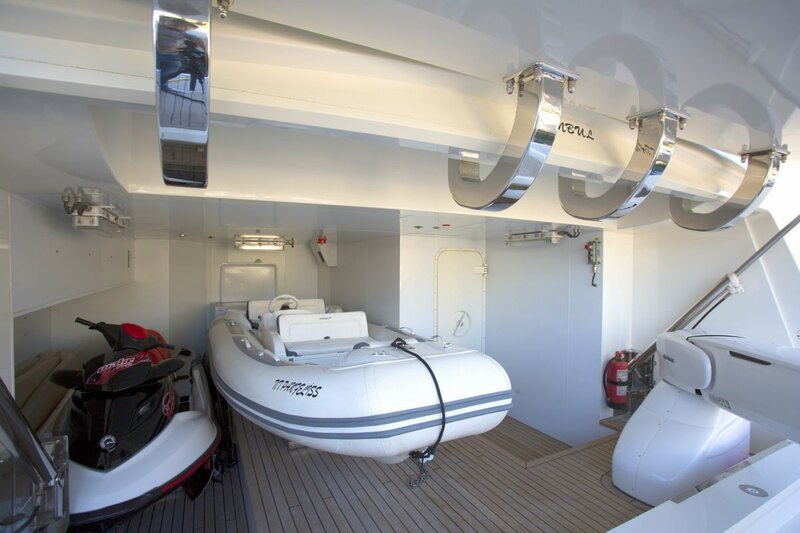 The yacht is equipped with 2 X 2750 mtu 2 X 65 kWA 1 X 22.5 kWA engine, and is capable of a top speed of 27.2 knots. 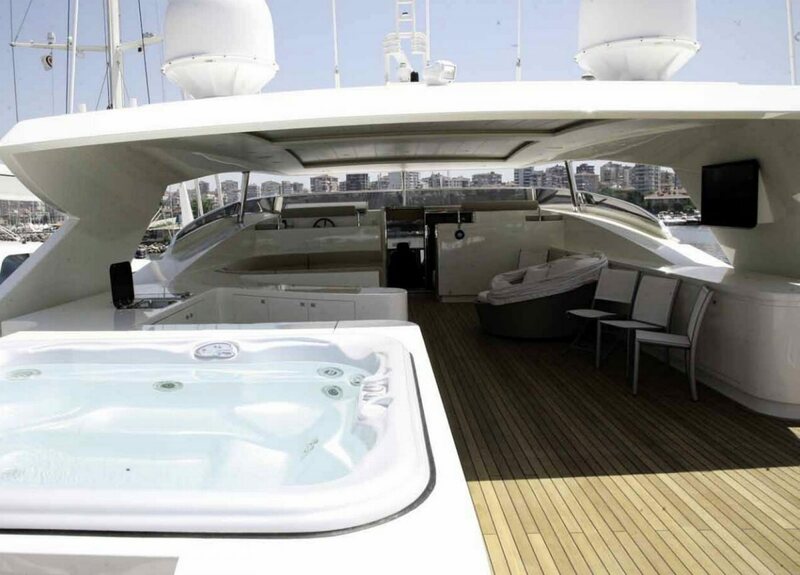 The yacht cruises at 19 knots. 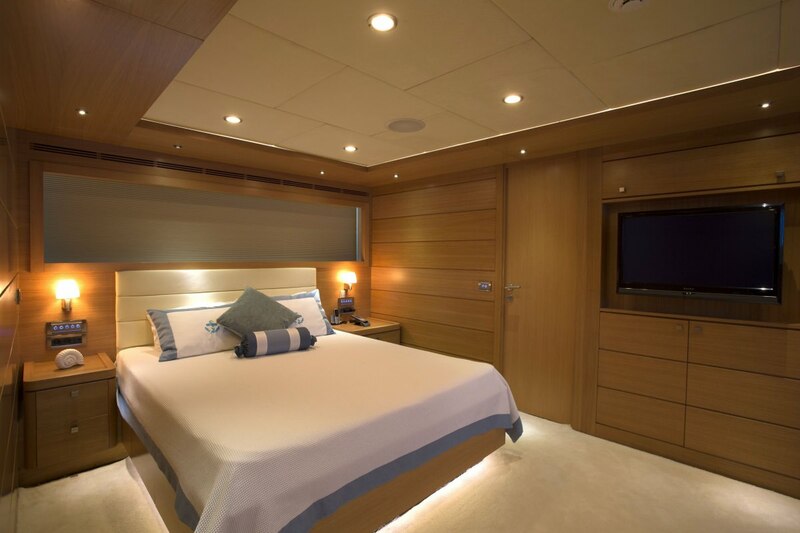 You and your guests will fall in love with this yacht as it offers many great features and entertainment, such as: Salon TV, Sun Awning, Generator, Ice Maker, Salon Stereo, Hammock, Hair Dryers, Stabilizers, Satellite TV, Windscoops, BBQ, Pets Aboard, iPod/Device Hookups, Deck Shower, Water Maker, Bimini, Dinghy HP, Wave Runners, Swim Platform, Fishing Gear, Underwater Video, Knee boards, Wake Board, Boarding Ladder, Adul Water Skis, Sailing Dinghy, Kids' Water Ski, Snorkel Gear, . 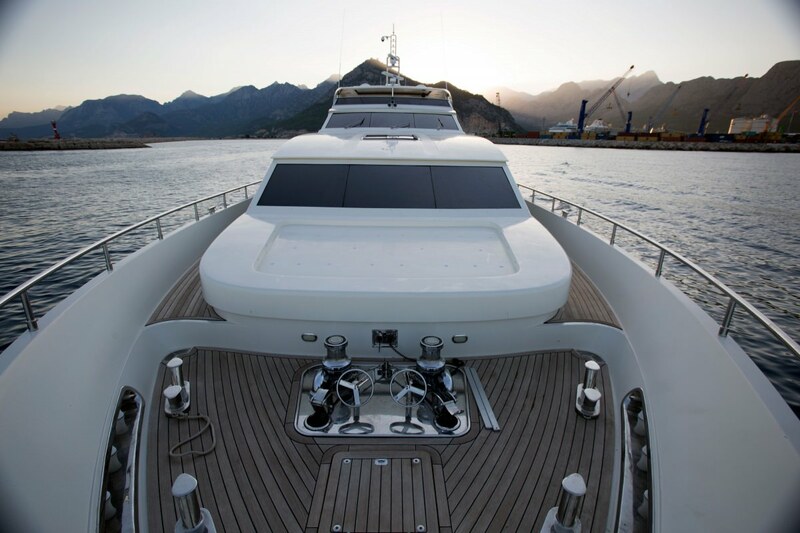 The yacht is open for chartering in BODRUM. 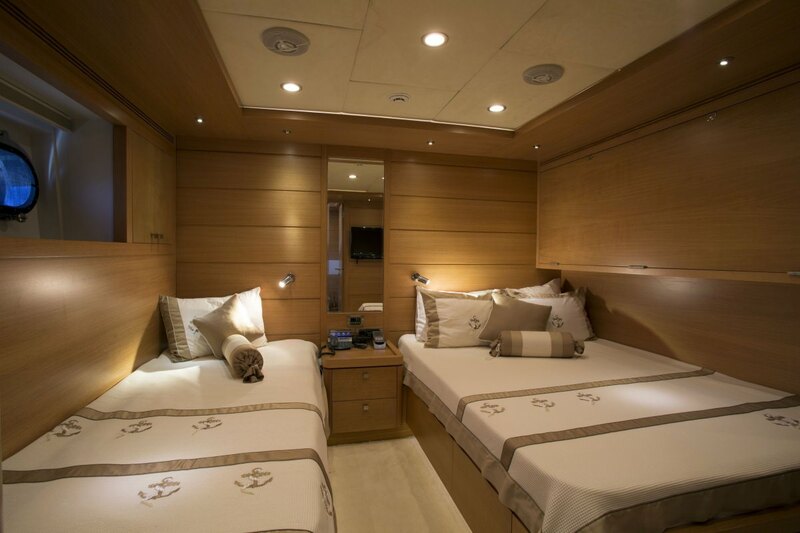 You can charter PANFELISS for $ for 4 hrs or for $ for 8 hrs.